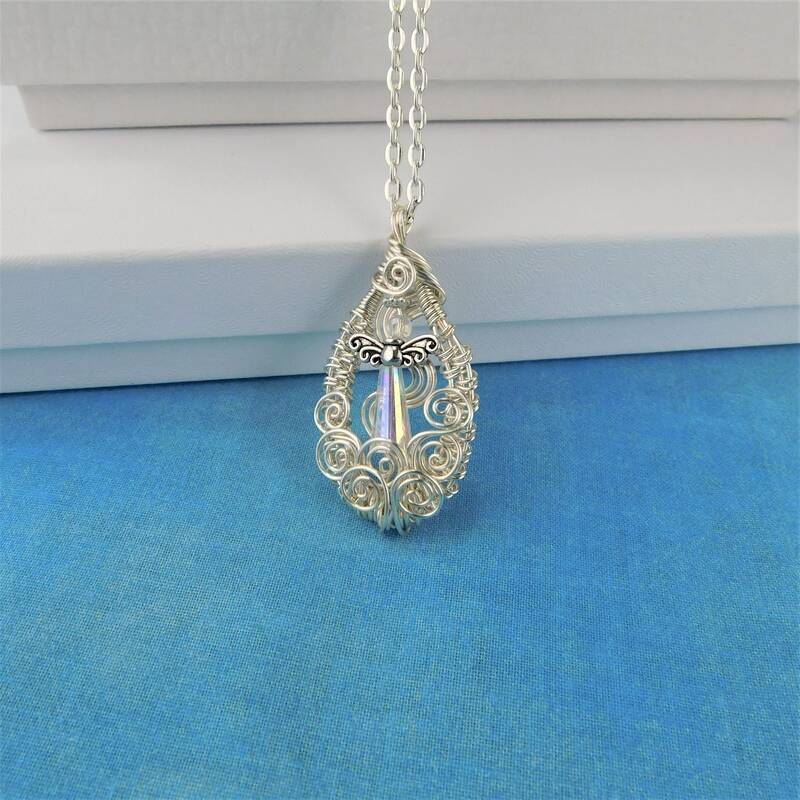 A beautiful angel, created using crystals with metal wings and halo, rests within a meticulously artisan crafted, woven and sculpted wire frame. 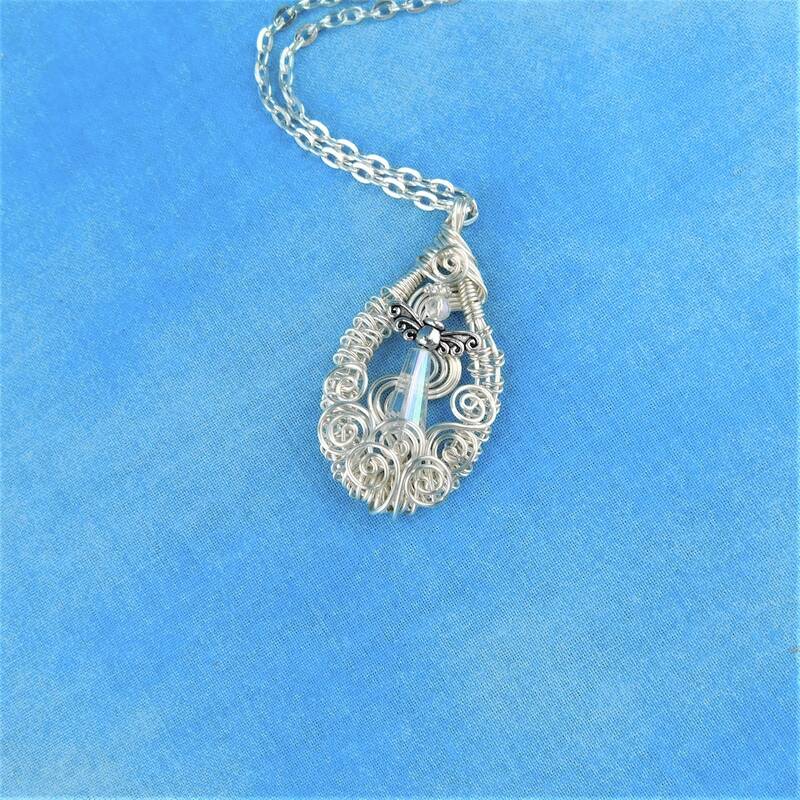 The coiled wire clouds flow up from the bottom of the frame, creating a truly heavenly scene. 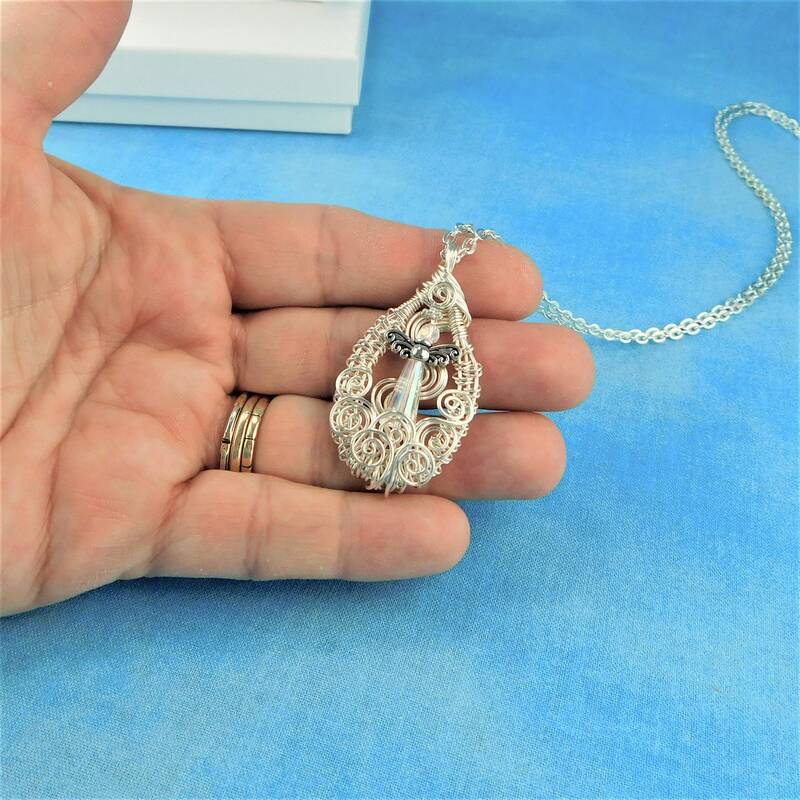 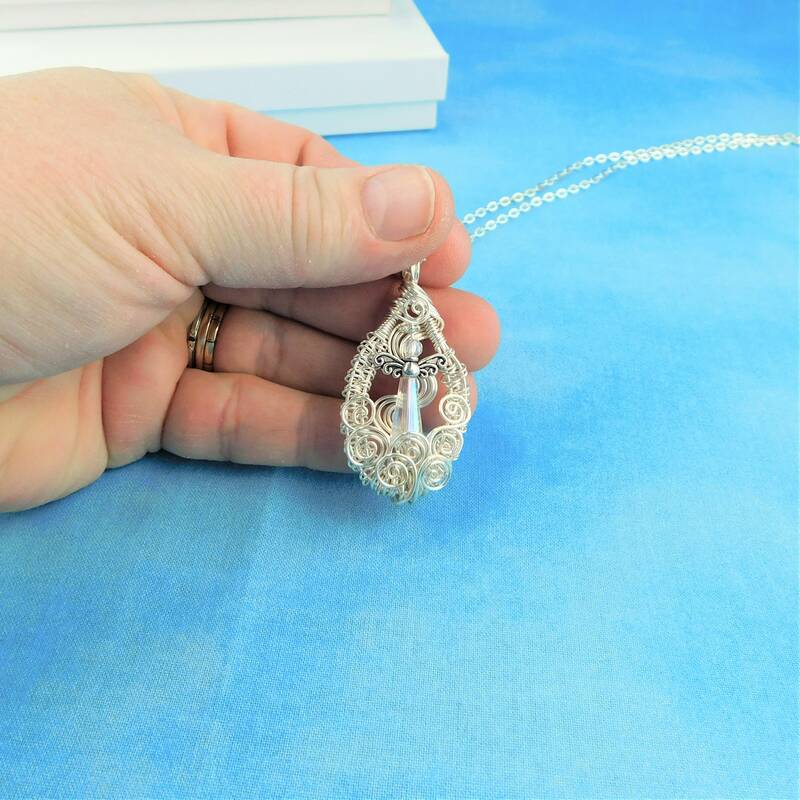 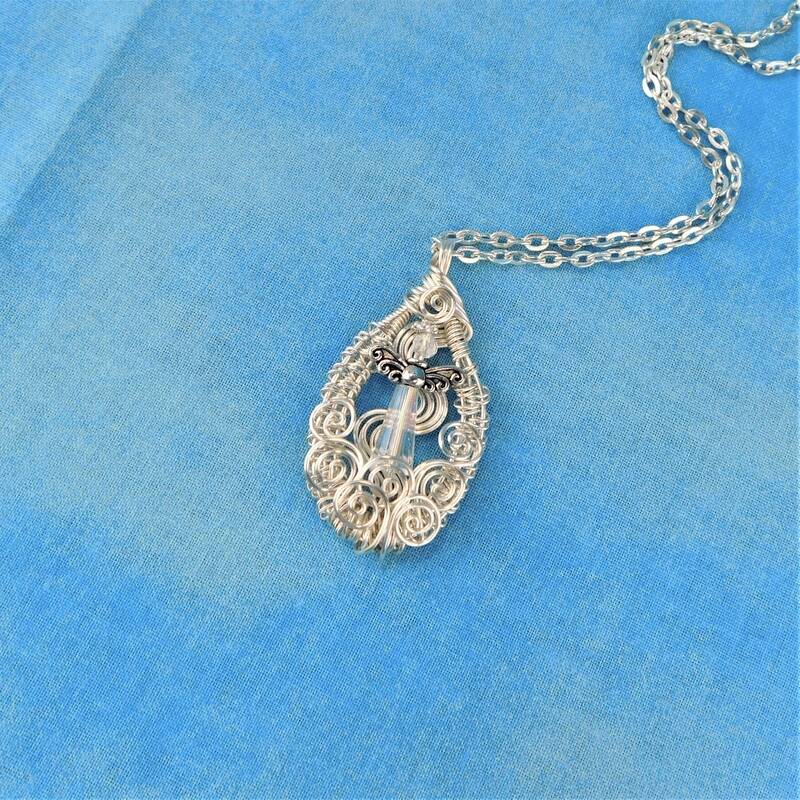 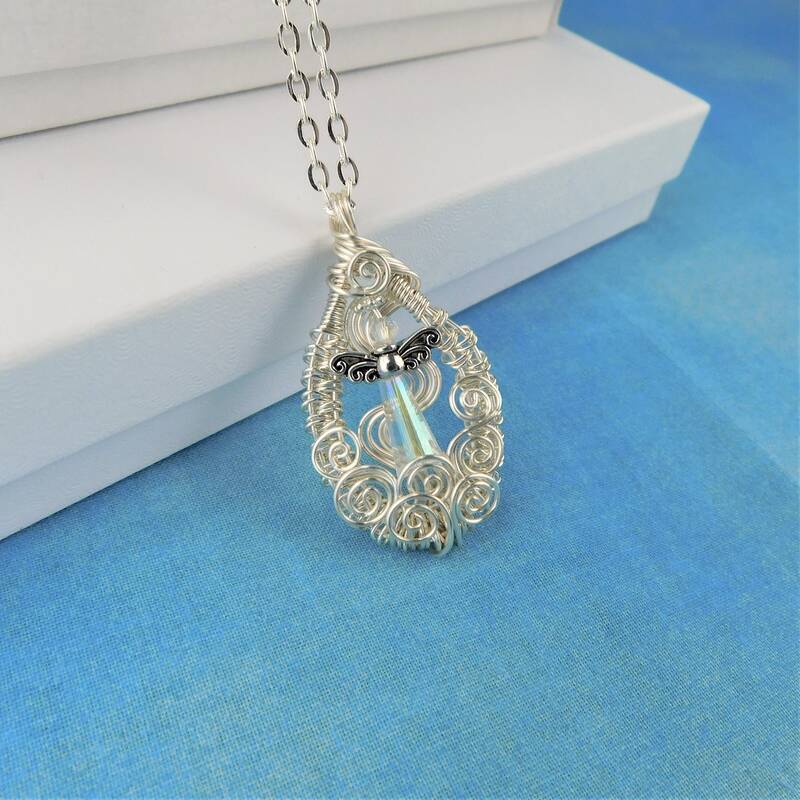 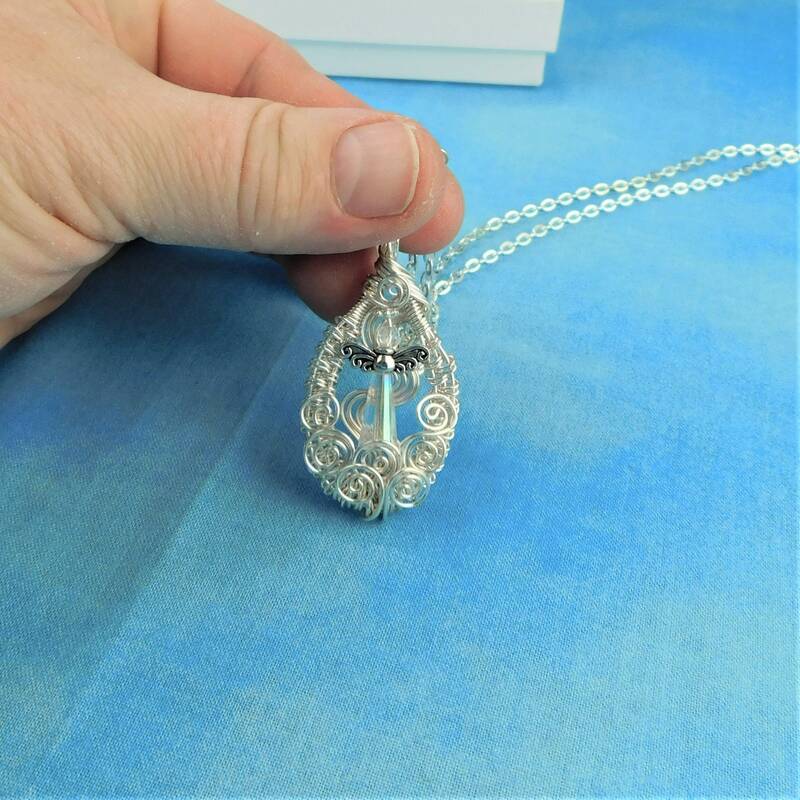 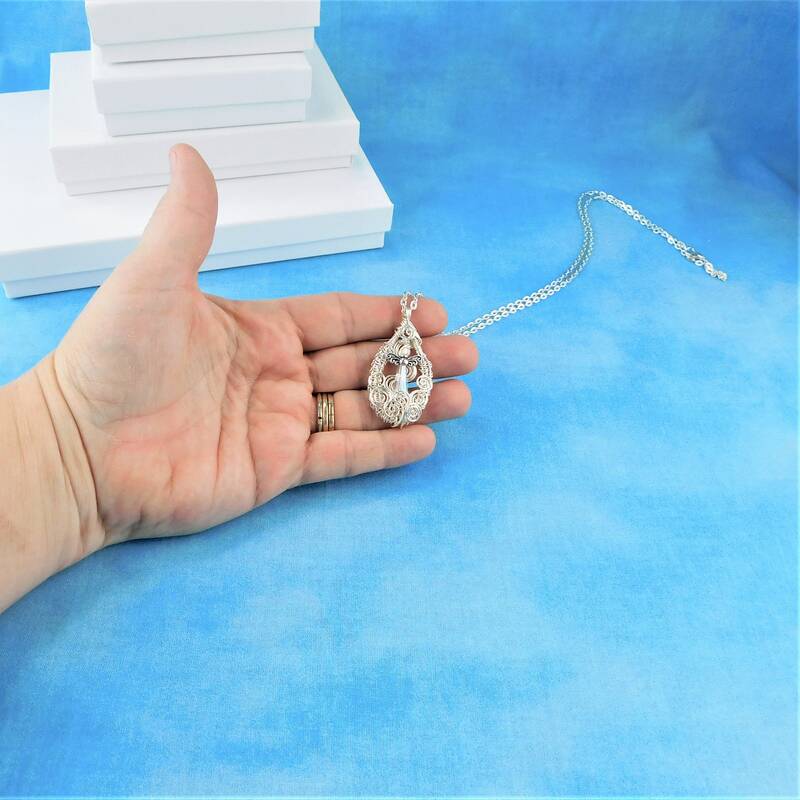 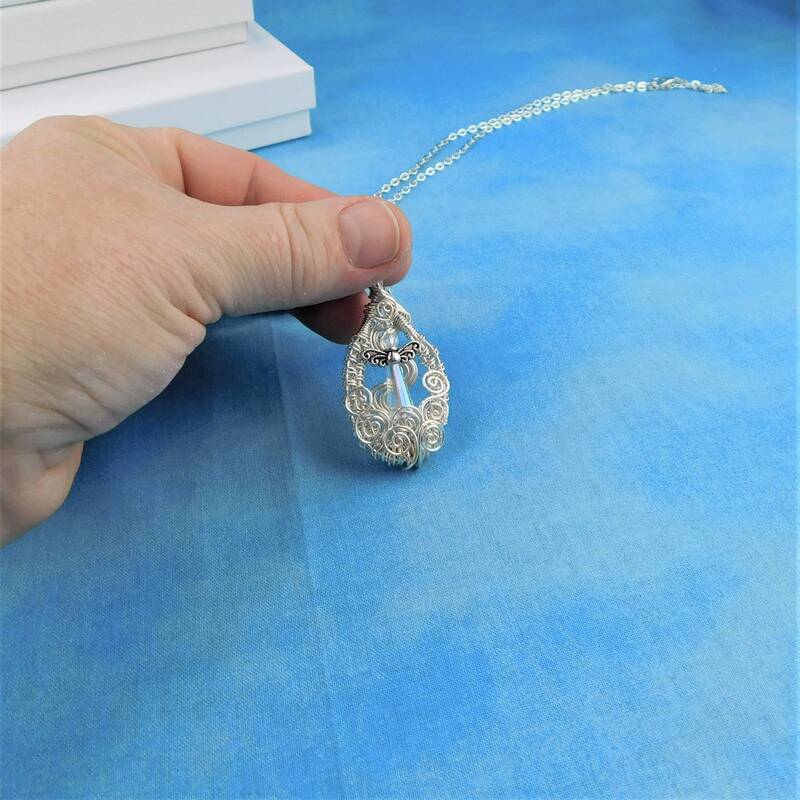 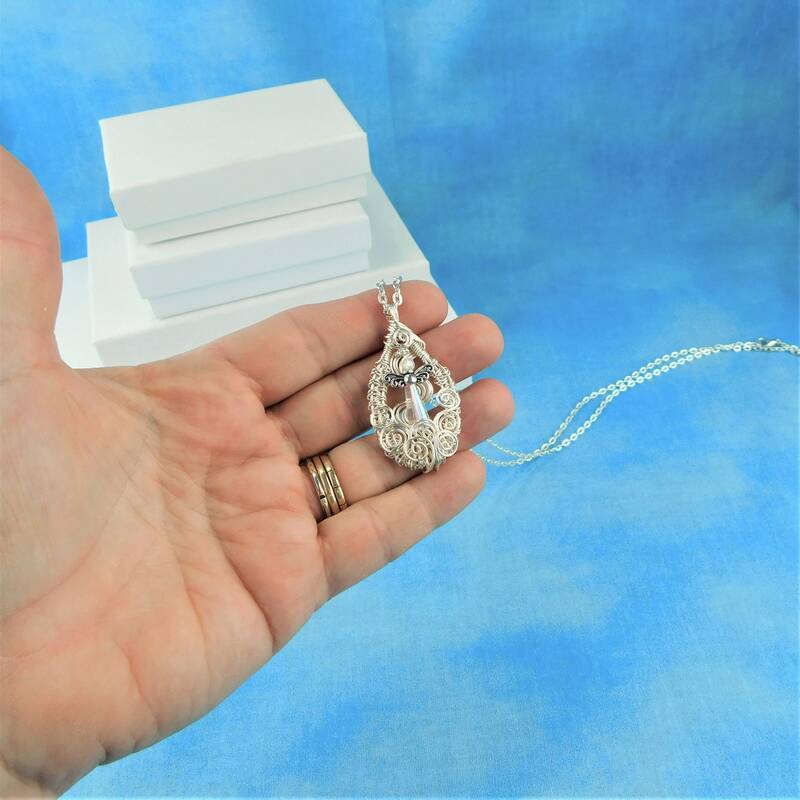 This pendant would be a lovely memorial gift for Mother's Day, a birthday, Christmas, or any significant occasion when those memories of a loved one are especially near.